choose experiences over objects and believe the ultimate luxury is an unscheduled afternoon to explore, study and be absorbed by new surroundings. Whatever your passion - history, horticulture, art - allow us to introduce an immersive experience. Discover all the reasons to make The Collector your St. Augustine home base. The Collector Luxury Inn & Gardens is St. Augustine's most immersive historical hotel. Talks with art and history docents, watercolor painting with local artists, and walking tours are all part of the experience. 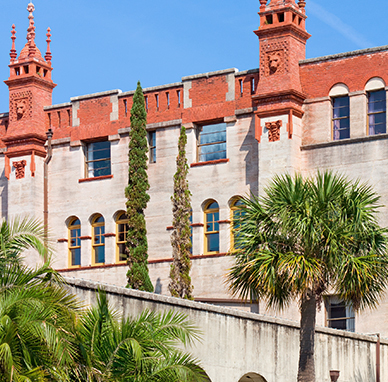 Set on a full block in historic St. Augustine, The Collector Luxury Inn & Gardens is within a short stroll of some of the city’s most popular attractions, including the Castillo de San Marcos, the Lightner Museum and Flagler College. Original fireplaces, verandas, coquina walls, rough-hewn linens and luxurious silks. At every turn, quiet nooks and age-old textures whisper a romantic tale of Southern hospitality and the enduring legacy of colonial rule. After a day of sightseeing and exploring the oldest city in America, could there be a better way to unwind? 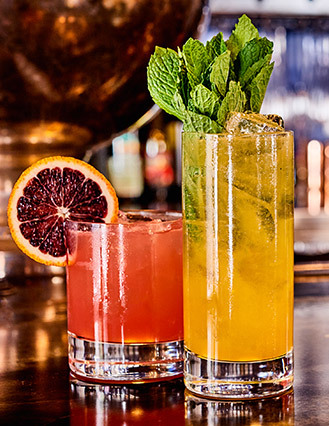 Gather around one of the inn’s cozy fire pits and savor a glass of wine from the nearby San Sebastian Winery or a perfectly made cocktail at The Well Bar. If your most cherished memories are the experiences you’ve shared with friends, The Collector Luxury Inn & Gardens is, quite simply, your kind of place. We value moments above all else... breakfasts on the veranda, afternoon garden parties, and private tours with local historians to name a few.